Dr. Glassman is a board-certified pediatrician and a fellow of the American Academy of Pediatrics. Caren Glassman, M.D., is a native of the D.C. area and was born at Holy Cross Hospital in Silver Spring, Maryland. Having grown up in Potomac, Maryland, she graduated from Winston Churchill High School. After completing her undergraduate studies at the University of Michigan, she attended medical school at The George Washington University School of Medicine in Washington, D.C.. Dr. Glassman then completed her pediatrics training at the Georgetown University Medical Center. Prior to joining Potomac Pediatrics, she was a pediatrician at a private practice in Germantown, Maryland. 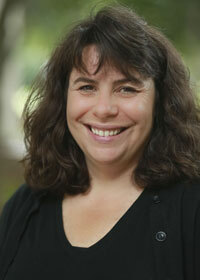 Dr. Glassman has a special interest in early childhood development. She currently resides in Potomac with her husband and their two sons. “America’s Top Doctors” in Castle Connolly 2012, 2014, 2015, 2016, 2017, 2018 and 2019. Dr. Kaplan is a board-certified pediatrician and a fellow of the American Academy of Pediatrics. She was born in Livingston, New Jersey and grew up in Westfield, New Jersey. She received a B.A. in Human Biology at Stanford University. While attending medical school at The George Washington University School of Medicine, Dr. Kaplan was president of the American Medical Women’s Association. She completed her pediatrics residency at Children’s National Medical Center in Washington, D.C.. 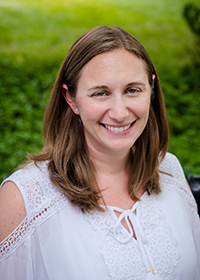 Prior to joining Potomac Pediatrics, she was part of a private practice in Silver Spring for 3 years, on staff at Holy Cross Hospital as well as an attending physician at Suburban Hospital. 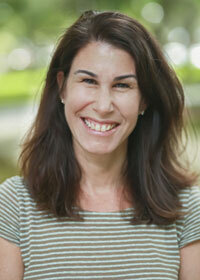 Dr. Kaplan lives in Potomac with her husband and their three children. Dr. Potter is a board-certified pediatrician and a fellow of the American Academy of Pediatrics. Dr. Potter was born in Cincinnati, Ohio and grew up in Silver Spring, MD. After graduating from the George Washington University, Dr. Potter attended the Medical College of Wisconsin where she was awarded a scholarship for service to the school and community. She returned to DC for her residency at Children’s National Medical Center. Since completing her residency, Dr. Potter has worked at Kaiser Permanente’s Gaithersburg office, where she has been honored as being a “distinguished physician” based on patient surveys for the past several years. Dr. Potter lives in Kensington with her loving family. Dr. Scheibel is a board-certified pediatrician and a fellow of the American Academy of Pediatrics. She was born in Cleveland, Ohio, and grew up in the Cleveland suburbs. After graduating from the University of Notre Dame, Dr. Scheibel completed medical school at the Wright State University in Dayton, Ohio and then her pediatrics residency at Loyola University in Chicago, Illinois. 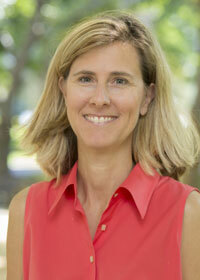 Dr. Scheibel has a special interest in early childhood development. Prior to joining Potomac Pediatrics, Dr. Scheibel was a pediatrician in private practice in Germantown, Maryland. She lives in Montgomery Village with her husband and their three daughters. Heather Davies, M.D. was born and raised in Northeastern Pennsylvania. She graduated from Dickinson College in Pennsylvania with dual degrees in Biology and Religion. Serving as class president, she received her medical degree from Penn State University College of Medicine. Dr. Davies completed her pediatric residency at The Ohio State University Nationwide Childrens Hospital in Columbus, Ohio. Prior to joining Potomac Pediatrics, Dr. Davies was a partner in a private pediatric practice in Westerville, Ohio. She served as a clinical instructor of pediatrics to both medical students and residents from The Ohio State University and surrounding medical schools. She recently served as President of the Montgomery County Pediatric Society and is currently a member of their executive board. She currently lives in Potomac with her husband and their two children. 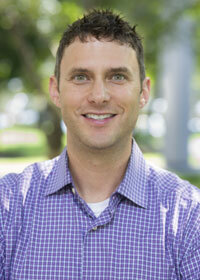 Jeremy Fishelberg is a board-certified pediatrician and a fellow of the American Academy of Pediatrics. He was born in Livingston, New Jersey and grew up in South Brunswick, New Jersey. Dr. Fishelberg graduated with honors from The Universty of Michigan with a Bachelors of Science in Psychology. He attended medical school at The Sackler School of Medicine-Tel Aviv University in Tel Aviv, Israel. Dr. Fishelberg then completed his pediatric residency training at INOVA Fairfax Hospital for Children where he was honored as “Resident of the Year” in 2003. 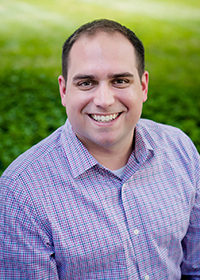 Prior to joining Potomac Pediatrics, he had been in a successful private practice in Fairfax, Virginia. Dr. Fishelberg currently lives in Potomac with his wife and two children. “Top Doctors” in the Washingtonian Magazine 2010, and 2016. “Patients’ Choice Award”, American Registry 2008. 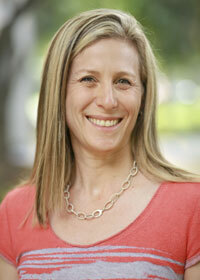 Dr. Shira Weiss is a board-certified pediatrician and a fellow of the American Academy of Pediatrics. She was born in Philadelphia, Pennsylvania and grew up in the Philadelphia suburbs. 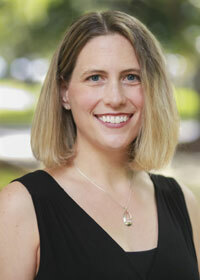 Dr. Weiss graduated from the University of Maryland, College Park with a Bachelors of Science in Microbiology. She attended medical school at Ben Gurion University of the Negev’s Medical School for International Health in Beer-Sheva, Israel. 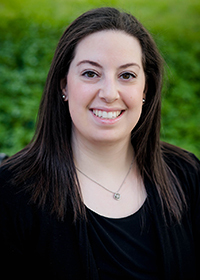 Dr. Weiss then completed her pediatric residency training at Sinai Hospital in Baltimore, Maryland where she was also chosen to serve as chief resident for an additional year. Prior to joining Potomac Pediatrics, she had been practicing pediatric hospital medicine at a local hospital. Dr. Weiss currently resides in Brookeville with her husband and her two children. Dr. Sachs is a board-certified pediatrician and a fellow of the American Academy of Pediatrics. 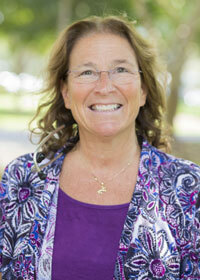 Hari Cheryl Sachs, M.D. is also a native of the Washington, D.C. area. Born at Columbia Hospital for Women in Washington, D.C., Dr. Sachs grew up in Silver Spring and attended Northwood High School. She has provided direct patient care to the infants, children, and adolescents of Montgomery County for the last seventeen years, with a special interest in developmental pediatrics, endocrinology and adolescent gynecology. Dr. Sachs is a Professor of Pediatrics at The George Washington University and Children’s National Medical Center. She is honored by the Who’s Who among young professionals and named one of the Best Doctors in America. Dr. Sachs writes extensively for pediatric journals. Dr. Sachs lives in Rockville with her husband and their four sons. Dr. Suri is a board-certified pediatrician and a fellow of the American Academy of Pediatrics. 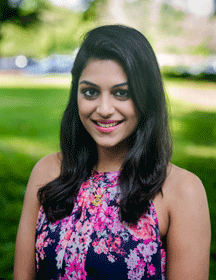 Neha Agarwal Suri, M.D., is a native of the Maryland-D.C. area. She was born at INOVA Fairfax Hospital in Virginia and raised in Germantown, Maryland. She graduated from Seneca Valley High School and completed her undergraduate studies at the University of Maryland in College Park. She then attended medical school at The George Washington University School of Medicine and completed her pediatrics training at the Children’s National Health System in Washington D.C. In addition to having an interest in pediatric medicine, Dr. Suri also enjoys teaching and learning dance, attending Zumba classes and painting. She currently resides in Washington D.C. with her husband. Dr. Patel is a board-certified pediatrician and a fellow of the American Academy of Pediatrics. 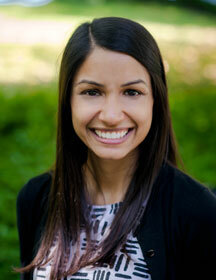 Hasita Patel, MD was born in Norfolk, VA and grew up in the suburbs of Atlanta, GA. She received a B.A. in Religion from George Washington University. She loved the DC metro area, so she returned to the area after completing medical school in Nashville, TN at Meharry Medical College to complete her pediatric training at Children’s National Health System. 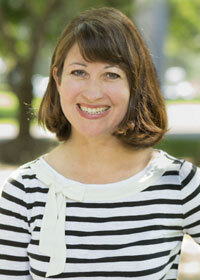 She has developed a special interest in childhood obesity and nutrition. Dr. Patel also enjoys traveling and hiking. She currently resides in Washington DC with her husband. Dr. Mechak is a board-certified pediatrician and fellow of the American Academy of Pediatrics. Dr. Mechak was born and raised in Rockville, Maryland. He attended Magruder High School and then Villanova University where he obtained a B.S. in Biology and was a member of the varsity swim team. He attended medical school at The University of Maryland School of Medicine and completed his residency at the University of Virginia where he also served as Chief Resident. Outside pediatrics Dr. Mechak enjoys attending and watching DC area and Villanova sporting events, running, swimming, and traveling. He is very excited to move back to the Rockville area with his wife and young daughter. Dr. Zohler is a psychiatrist specializing in the treatment of children, adolescents, and young adults with mood, anxiety, and behavioral disorders, including attention-deficit/hyperactivity disorder (ADHD). She was born and raised in Syracuse, New York. She completed her undergraduate studies at the University of Rochester in Rochester, NY, receiving a Bachelor of Arts in Biological Sciences in 2007. She then completed a Post-Baccalaureate Certificate in Biological Sciences (2008) at the Lake Erie College of Osteopathic Medicine in Erie, Pennsylvania, where she also attended medical school, completing her medical education in 2012. She completed her residency in Psychiatry at the State University of New York at Buffalo in 2016, and her Child and Adolescent Psychiatry fellowship in June of 2018 at Children’s National Medical Center in Washington, DC, where she served as the Chief Fellow. Dr. Zohler provides comprehensive psychiatric assessments, including psychopharmacological treatment when indicated, and a family-systems approach to care. She emphasizes the need for a team approach when working with children and families, including routine communication with therapists, schools, and other medical professionals in order to provide comprehensive care. Dr. Zohler enjoys reading, traveling, golfing, going to the theater, and watching sports. She currently resides in Washington, DC. Natalia Darling, PA-C is a board certified Physician Assistant and a native to the Washington, D.C. region. She was born at Sibley Memorial Hospital and raised in Montgomery County, Maryland. After receiving her high school diploma from the Academy of the Holy Cross in Kensington, Maryland she went on to receive a Bachelor’s of Science in Exercise Science with a minor in Spanish from the University of South Carolina. Soon after, she began work at Potomac Pediatrics, serving as a medical assistant for two years. She briefly left Potomac Pediatrics to attend the Medical University of South Carolina in Charleston, where she obtained a Master’s of Science in Physician Assistant Studies. She now resides in northwest Washington, D.C.
Jane Henley is a Registered Dietitian with a subspecialty in Pediatric Nutrition. Native to D.C., Jane was born at Georgetown University Hospital, grew up in Potomac, Maryland, and earned her Bachelors in Science & Nutrition at The University of Maryland, College Park. Following graduation, Jane completed a two-year Dietetic Internship/Masters Degree Program at New England Medical Center and Tufts University in Boston. 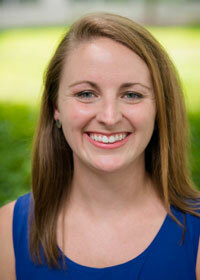 She is a Licensed Nutritionist in the State of Maryland and Member of the Academy of Nutrition and Dietetics. Special interests include: pediatric weight maintenance, failure to thrive, toddler feeding issues, food allergies and intolerances, vegetarianism, and nutrition education. She currently resides in Potomac with her two daughters and Golden Retriever, Izzi.